January 16, 2017 - The boy is approaching double-digits and seems to have mostly outgrown kids meals. Bummer. We'll just have to do this without him. - McDonald's has Teen Titans Go! toys and Sweethearts "clip gloss" as the goodies in their Happy Meals. The next promotion wasn't shown yet on January 16, because the site was still listing Sing toys as the current promotion while also saying that it runs through January 9th. - Burger King's kids meal web site features The Secret Life of Pets toys. There are six different toys. October 24, 2016 - We didn't eat out much since the last update, but the boy did score a Talking Tom figure at McDonald's. A few years back, he loved the Talking Tom apps, but he didn't seem especially interested in this toy. It's a cute figure, so I think he has just outgrown the license. - McDonald's has It's the Great Pumpkin, Charlie Brown trick-or-treat pails with their Happy Meals. The next promotion shown will be Trolls. - Sonic has Angry Birds movie toys their Wacky Pack meals, with Ninja Spoons coming soon. 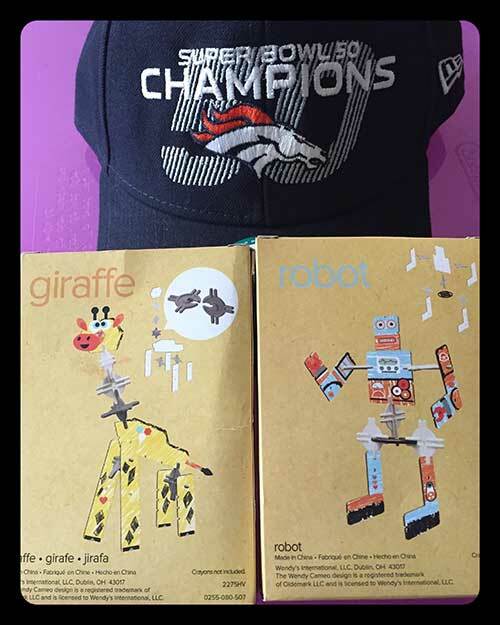 September 4, 2016 - August brought with it the start of a new school year and a toy recall from McDonald's. They have recalled the Step-It activity bands that they gave out in Happy Meals in August. You can return the bands to McDonald's for a replacement toy and either a yogurt tube or apple slices. - McDonald's has Talking Tom toys in their Happy Meals. The next promotion shown is a joint promo of Justice League and DC Superhero Girls. Each will have eight toys, with half being action figures and half being role-play items. 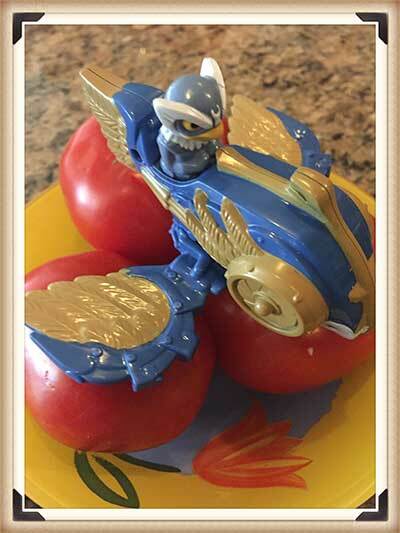 July 11, 2016 - For June, we made a single trip to McDonald's and picked up a Skylanders Superchargers toy. We don't play Skylanders, so this elicited a solid "meh" from the boy, although it is a pretty nice little toy. - McDonald's has The Secret Life of Pets movie toys in their Happy Meals. The next promotion shown has Step-It activity bands. - Burger King's kids meal web site features The Penguins of Madagascar toys. There are six different toys. June 3, 2016 - School is finally out, so now we have a bit more time for small-scale "adventures" like leaving the house to go get toys at McDonald's. 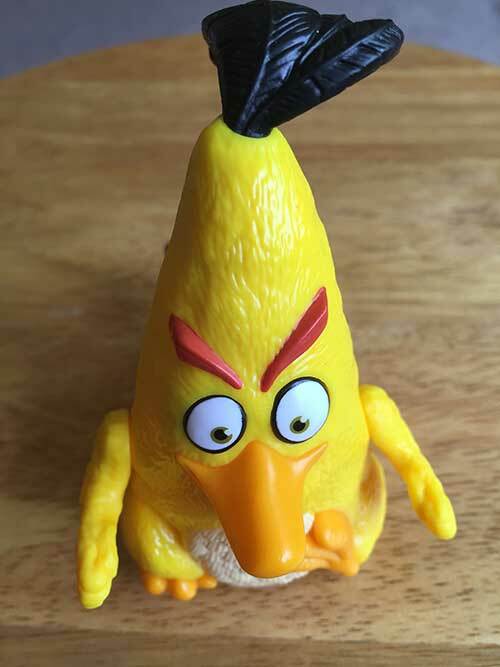 The boy scored one Angry Birds movie toy and decided that we'll get the rest on eBay. 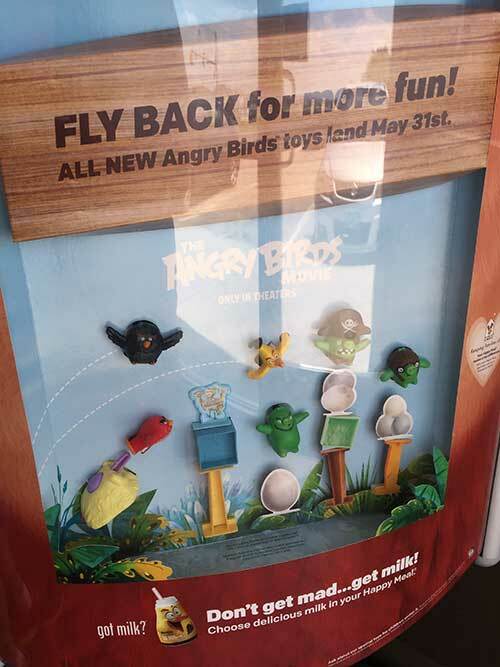 - McDonald's has Angry Birds movie toys in their Happy Meals. The next promotion shown is a joint one featuring Powerpuff Girls and Skylanders Superchargers. May 6, 2016 - April was strangely busy, so we skipped eating at fast food restaurants and bought the boy a set of McDonald's plush Emoji toys from eBay. There are 16 in the set, so this was definitely the easier and less expensive option. - Burger King's kids meal web site features DC Super Friends toys. There are six different toys. - Sonic has Mario & Luigi Paper Jam toys their Wacky Pack meals. - The Chick-fil-A site shows six different Zooborns books as the goodies in their Kid's Meals. The under 3 toy is a board book. April 12, 2016 - March brought us a blizzard and (unrelated) pneumonia, so we are delighted that it is finally April. 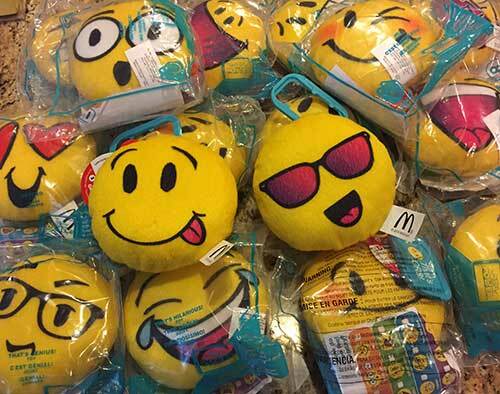 - McDonald's has Emoji plush toys in their Happy Meals. The next promotion shown is from the Angry Birds movie. I see some eBay purchases in my near future! - Sonic has Teen Titans Go! toys their Wacky Pack meals. - Subway Kids Meals have several different Jungle Book watches. March 7, 2016 - February flew right by, even with the extra day. The only trip we made to a fast food restaurant was for a school fundraiser, but the boy did not want to by a kids meal then, so we scored no toys. - McDonald's has a joint promotion of My Little Pony and Transformers in their Happy Meals. The next promotion shown is a joint promotion of Barbie Spy Squad and DC-themed Hot Wheels. - Burger King's kids meal web site features Garfield toys. There are six different toys. February 8, 2016 - January and early February brought us two trips to Wendy's and two "Build Your Creativity" toys. The giraffe and robot use pieces that we have seen in their kids meals before, so if you can remember to keep tucking them all into one storage spot, eventually you'll have enough to build something large. - McDonald's has Valentine's books in their Happy Meals. The next promotion shown is a joint promotion of My Little Pony and Transformers. January 2, 2016 - December flew by with no trips to fast food restaurants. We did get a popcorn bucket nearly the size of the boy when we went to see Star Wars: the Force Awakens, but there was no toy at the bottom. - McDonald's has a joint promotion of Shopkins and Rabbids toys in their Happy Meals. The next promotion shown is actual books with a Valentine's theme. - The Chick-fil-A site shows eight different Amazing Animals books as the goodies in their Kid's Meals. The under 3 toy is a board book.